Please note above price is for soaps in plastic wrapping only. Additional charge of USD 0.95c per piece for packaging with our logo as in above picture. Custom design available. Please send your artwork to us for quotation. Minimum 10 pcs per type. 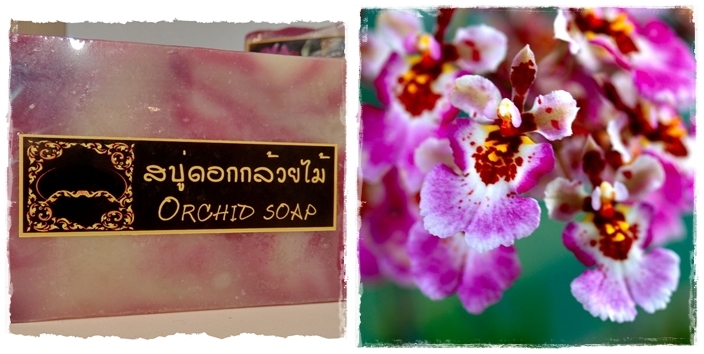 Lose yourself in romance with this orchid soap. 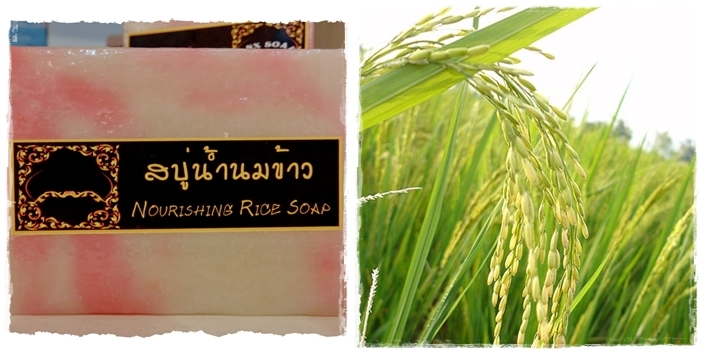 Superb natural moisturizer and effective deep cleansing for your skin. 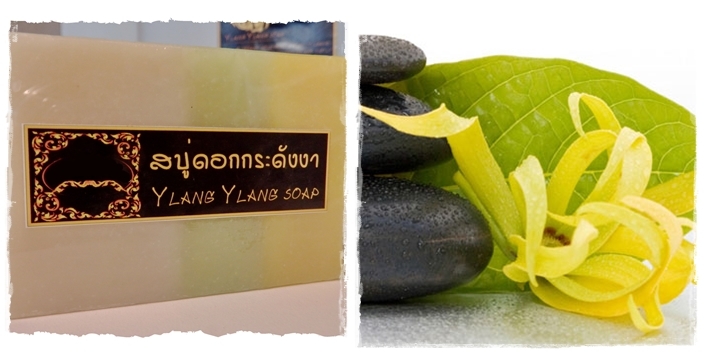 A creamy, moisturizing soap which leaves the skin feeling clean, refreshed and subtly scented with ylang ylang scent. Very sensual, balancing and comforting. 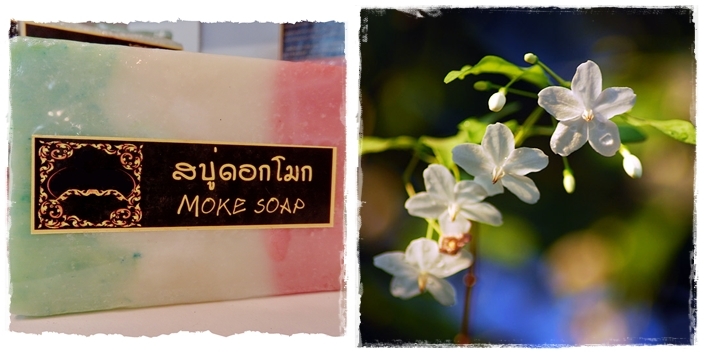 Moke is a popular Thai flower. 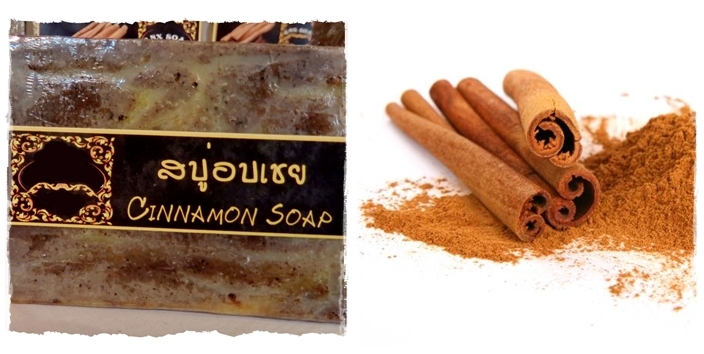 Makes you feel refreshed and relaxed and acts as a natural moisturizer for your skin. Helps relieve acne scarring, sun damaged skin and improves first signs of ageing. Stimulates skin circulation. 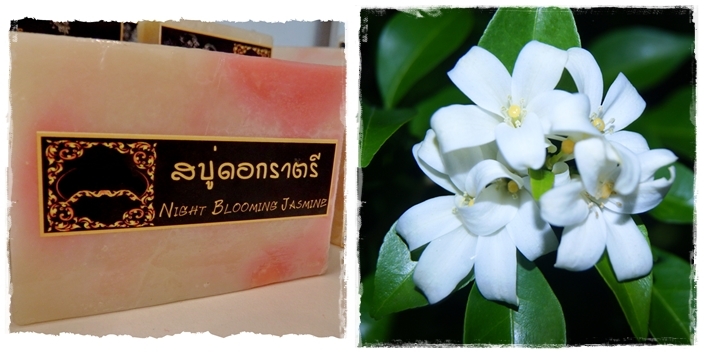 Romantic mood exotic - warm & uplifting yet relaxing skin nourishment and moisturizing. 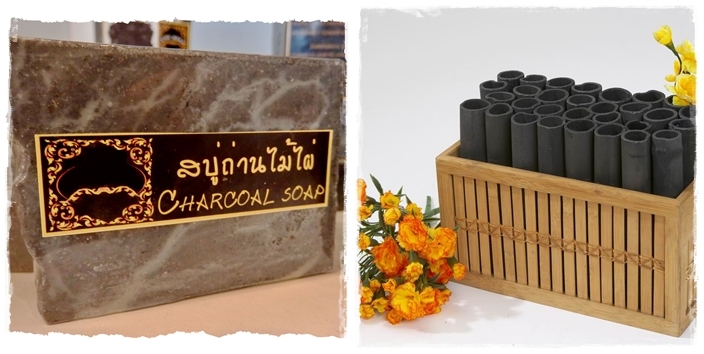 Bamboo charcoal has a proven track record for its detoxifying power. It is used to effectively cleanse and whiten your skin. 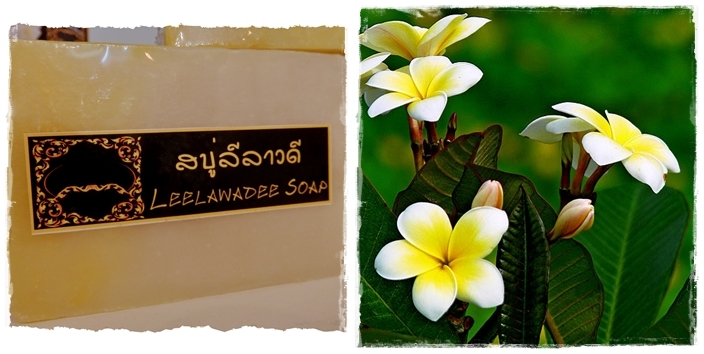 Frangipani flower soap possesses a sweet and summery scent. The lovely complex floral aroma creates a wonderful tropical essence. 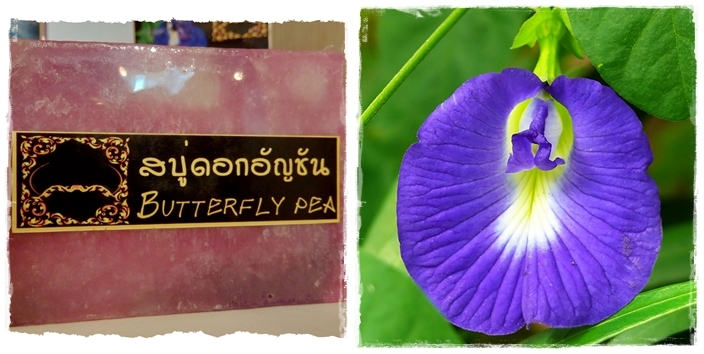 A creamy, moisturizing soap to leave skin feeling clean, refreshed & subtly scented with a delicate floral scent from butterfly pea. 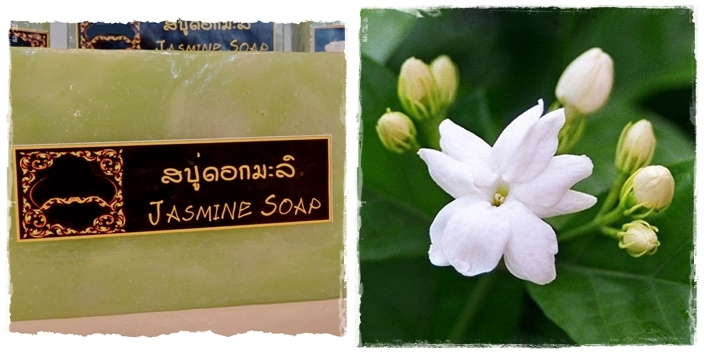 A creamy, moisturizing soap to leave skin feeling clean, refreshed & subtly scented with a delicate floral scent from night blooming jasmine. 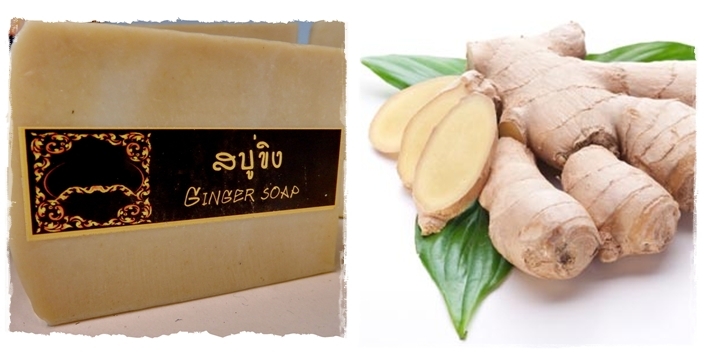 Full of skin vitamins, this soap can help the nourishing and moisturizing of the skin. The "Queen" of fruit, Mangosteen is known to sterilize bacteria and germs all over body and act as an anti-oxidant. 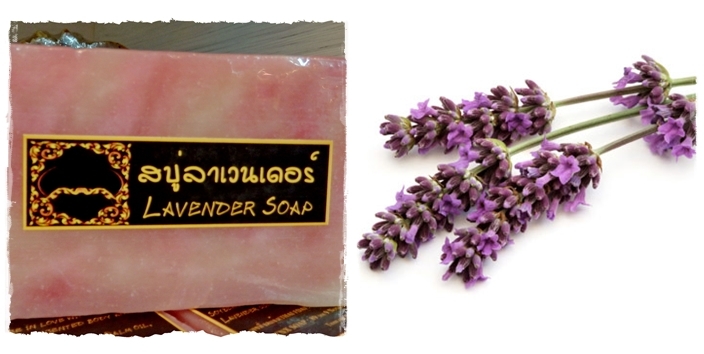 It is easy to fall in love with lavender scent. 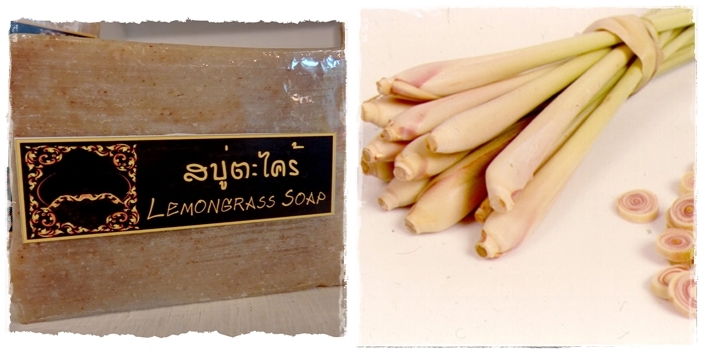 An aromatic, long scented soap which firms the skin. 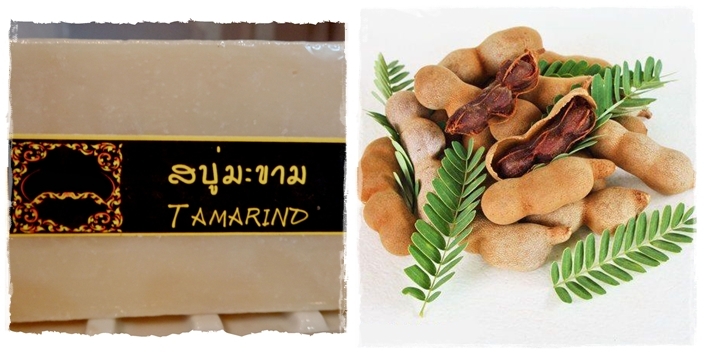 Tamarind properties will extract feeble acid which assists in cleansing the skin effectively and mitigating the dark skin spots, particularly at the armpits, thighs, and elbows. 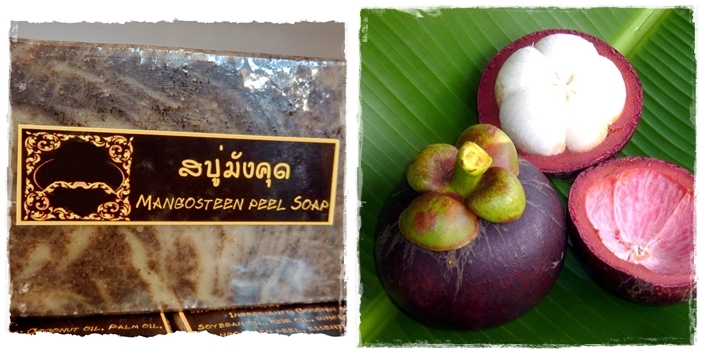 This soap is rich in anti-oxidants and has a natural mild astringent and anti-fungal properties. It makes you feel fresh and relaxed after showering. 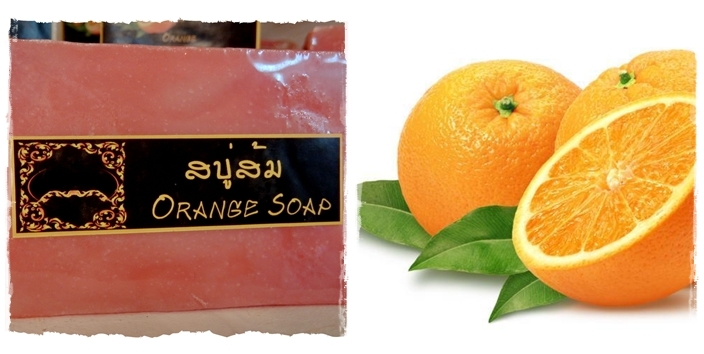 Orange soap possesses natural vitamin C to cleanse & exfoliate dead skin cells. 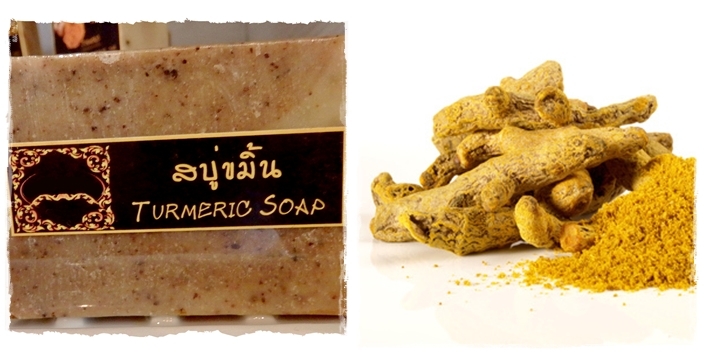 Turmeric helps alleviate the inflammation of acne, pimples, freckles, black heads, and dark spots. 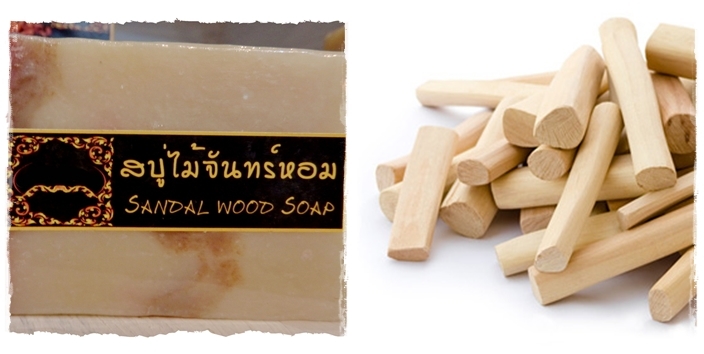 Sandal Wood cleanses and balances the skin. The antiseptic properties of the oil neutralize the bacteria that contribute to acne. 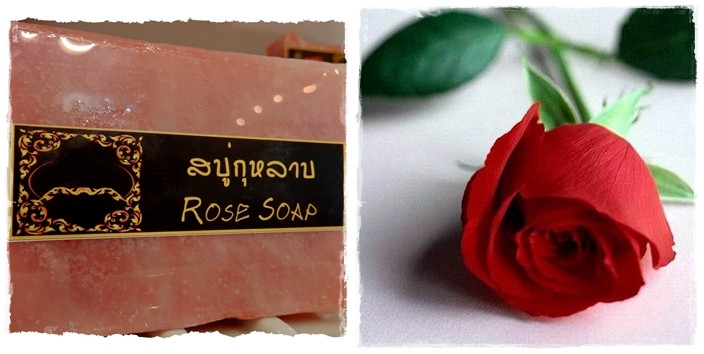 Our rose soap in an extra-rich, creamy moisturizer. Known as an aphrodisiac, especially for women. 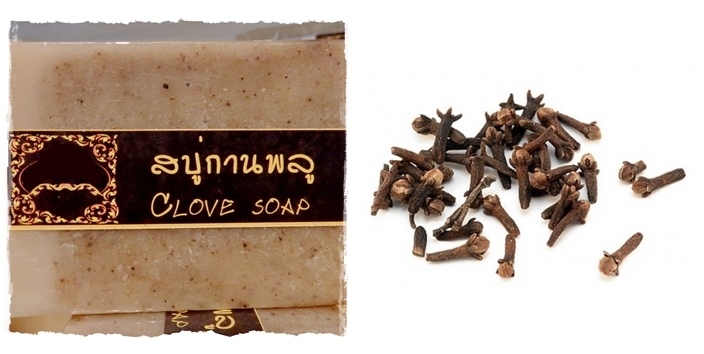 Vanilla soap is an extra-gentle relaxing hypoallergenic face and body soap. 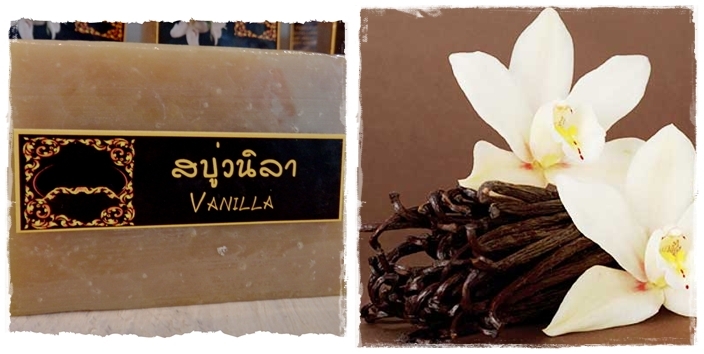 The sweet and creamy scent of vanilla will relax your body and soul. 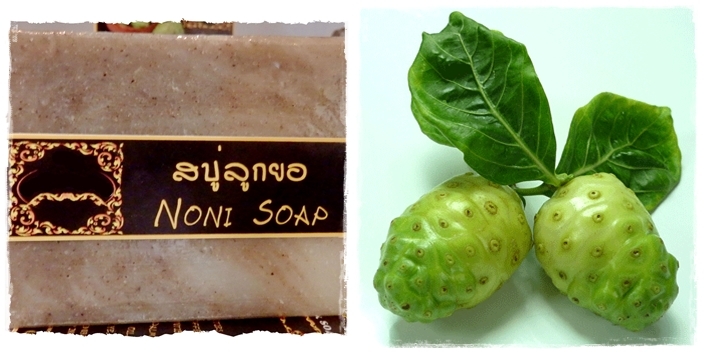 Noni has anti-aging properties and contains many anti-oxidants. It is also effective in eliminating acne as a natural antibiotic.